Wisconsin Governor Scott Walker really doesn’t like professors. He seems to have a special grudge against the University of Wisconsin, against which he has launched a two-pronged attack this year. It’s rare for a governor to attack the flagship university in his own state. Governors usually do just the opposite, promoting their universities to the rest of the world whenever the opportunity arises. What's more, Walker is currently campaigning for the Republican nomination for President. Presidential candidates usually try to make new friends and influence voters. It’s rare for a candidate to single out a large non-political group (other than foreign enemies of the United States, or other obvious bad guys) and systematically go after them. Thus it’s surprising–startling, really–to observe how Scott Walker is waging a war on academic freedom in his home state of Wisconsin. Let's look at what he's doing, and then ask why. First, back in January he proposed an enormous $300 million cut to the University of Wisconsin’s budget, at a time when other state universities are finally recovering from the recession. Now he’s proposing to get rid of academic tenure, not only threatening faculty jobs but also destroying academic freedom for professors at the University of Wisconsin. Why is Governor Scott Walker (aided by his legislature) attacking his own state’s leading university? One could hypothesize that he harbors some resentment over the fact that he himself never graduated from college: he quit school in his senior year at Marquette University. Susan Milligan at US News argues that this disqualifies him as a candidate; perhaps this criticism bothers Walker. But plenty of people succeed in demanding careers without a diploma–just look at Bill Gates and Steve Jobs. 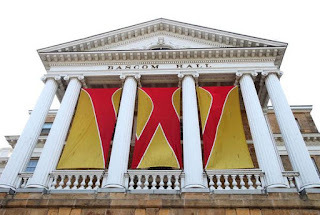 "the Governor’s original budget proposal removed all references to the UW from state statute in order to allow for the proposed authority to create its own policies. 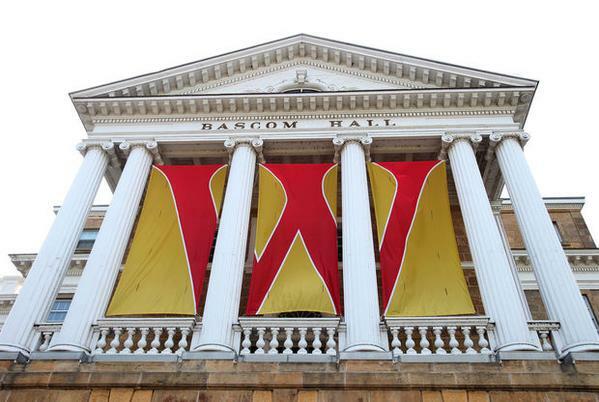 This would allow the UW Board of Regents to address the issue of tenure going forward." "decisions about a tenured faculty member's service could be based less on performance and institutional finances and more on the political or personal views of board members." I’ve observed the benefits of tenure directly many times, both at Johns Hopkins University and at my previous academic home, the University of Maryland. While at UMD, for example, I wrote several articles highly critical of the university president for his boneheaded decisions about the football coach. Many of my colleagues expressed similar views to me in private, but the untenured ones were unwillingly to speak openly. If we want scholars to speak truthfully, they need to be free of fears of retribution. Governor Walker’s actions make even less sense when viewed from outside the state, where the University of Wisconsin is considered one of the nation's top public universities (currently ranked 13th among public schools). With his draconian budget cuts and his assault on the tenure system, Walker is sending a message that professors at Wisconsin should sit down and shut up. Some of them–those most able to move, which likely includes some of their best talent–might now be looking for greener pastures elsewhere. Come to think of it, we are recruiting for 50 new endowed professorships at Hopkins, thanks to Michael Bloomberg; perhaps I should be thanking Governor Walker. It’s disturbing that Wisconsin's governor is using his power not only to weaken one of the state's biggest assets, but also to attack the free expression of ideas. I can't come up with any explanation for his actions that doesn't appear vindictive and short-sighted. This isn’t the kind of behavior I want in any politician, and certainly not in someone who wants to be the most powerful politician in the nation. While I despise Walker for his union-busting and academic funding stinginess, I have to call shenanigans on all this self-righteous "tenure is essential for academia" posturing. I'm sure tenure is a great perk, but if universities really believed it was essential, then every research or teaching position would be tenure-track. Instead, universities are basically phasing out tenure themselves by having ever increasing numbers of soft-money research professor positions and having courses taught by lecturers hired on a per-semester basis. I didn't say tenure was essential for academia. But it is essential for academic freedom. If the administration wants the faculty to toe the line and keep quiet, then of course they don't want tenure. So when you say "universities" are phasing out tenure, I hope you realize you are referring to the administrators, not the faculty. In Walker's case, he's attacking without provocation - there was no crisis that caused this. He's just hostile towards U. Wisconsin's faculty. I was more aiming at the overexaggeration of tenure by Mark Levine that you quoted. And I certainly agree that Walker is doing this for his own political ends to "punish" the university. But I'm not sure that it really makes sense to distinguish tenured faculty from administration in the non-tenure track debate given that both benefit (at least in the short term) from, and are complicit in, the recent growth of non-tenure track positions.